American Spirit Offshore Racing is bringing our marketing strategy to the racing circuit starting in the 2016 season. 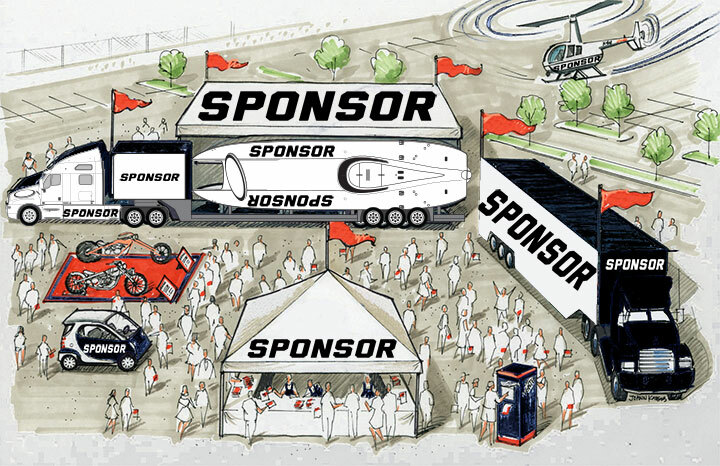 We are currently looking for sponsor partners who want to utilize the Offshore Racing platform to market their organization or product. Partial partnerships or full product branding can be customized to fit your company’s budget and marketing requirements. Whether offering your brand, under the already established American Spirit Offshore Racing banner or introducing a full individual campaign, American Spirit Offshore Racing and MOTO Marketing Group will become an extension of your companies marketing machine.